With a Russian tutor from Grade Potential, you gain a partner committed to your academic success. Through in-home tutoring catered to your schedule and needs, we provide the support to feel confident in your Russian coursework and empowered to succeed. Picking up the Russian language definitely comes with a learning curve—and that’s why the one-on-one, personalized support of a Russian tutor from Grade Potential is so powerful. Sometimes all that’s needed to make a difference in the way a student performs in a Russian class is a little extra one-on-one tutoring. Plus, Grade Potential’s Russian tutors come to you on your schedule and at your location in order to make sessions as convenient as possible! Grade Potential has Russian tutors for all academic levels. 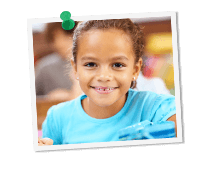 Whether you (or your child) are taking introductory courses or more advanced-level classes, our experts are here to provide additional support in your homework, test prep and more.